Renu Laser & Skin Care also offers certain skin care product lines, including Obagi Nu Derm, Clarisonic & Mia, Colorescience, Latisse, and Lexli. Our goal is to provide excellent customer service, which is why we strive to always put our clients' needs first. 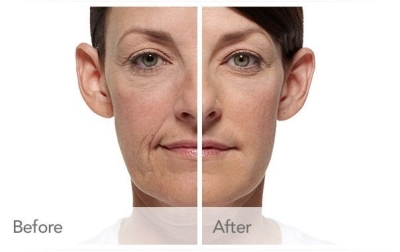 If you would like to slow down or reverse the aging process, we can provide the solution. With our support and state-of-the-art technology, you can restore your body and skin to its original beauty. We are located in Littleton, with easy and quick access from the DTC, Englewood, and Highlands Ranch. To learn why we are the best Littleton laser hair removal facility in Littleton and Highlands Ranch, contact us today by calling (303) 470-0200. When you visit our spa, you can rest assured that you will receive the best results for the best prices. When you come in for an initial consultation, we will review your goals and objectives with you. After we understand what type of results you would like to see, we can start to explain treatment options. At our Littleton medical spa, we do our best to keep you educated on all factors of your beauty care. We never try to sell our clients more treatment options than they need. When you come visit us, we will find a plan of action to take care of your beauty goals. Each individual receives a personalized treatment plan for their situation, giving attention to your immediate needs. When you want to fight the aging process, we have the technology and experience to help. We offer some of the finest age reversing treatments, such as HydraFacial, pixel laser treatments, and photorejuvenation. If you would like more intense facial treatments, we can provide Botox and fillers. From LED blue light therapy to chemical peels, we have the acne treatments you need to eliminate frustrating skin issues. We also offer laser hair removal services, which results in permanent hair reduction. When you want to significantly improve your skin, our laser anti-aging services will provide the results you need. Serving Highlands Ranch, Lone Tree, Centennial, Lakewood, Denver Tech Center, Greenwood Village, Englewood & Denver We offer all the skin and body rejuvenation services you need, at a fair and affordable price. With more than 15 years of experience, we know how to help clients attain positive results. We understand how important your facial beauty is, which is why we are passionate about restoring and renewing your skin. After your visit to Renu, you will enjoy long lasting beauty in a whole new way. If you are looking for laser hair removal in Littleton, come by our complete medical spa! Don't wait any longer to talk with one of our professional skin care staff members — contact us today at (303) 470-0200 to schedule a complimentary consultation.